What better way to kick off the year than with a fashion show from one of the trendiest places in the whole world? Paris Haute Couture Fashion Week took place earlier in January, and with it we got lots of trends you’ll want to emulate. Some are great for your everyday look while others should be reserved for special occasions. From Maison Margiela to Pat McGrath, many models in Paris came out with faces covered in holographic makeup. This was not on the eyes, lips, or cheeks, either, but rather on the forehead and jawline. The models looked almost robotic. With their sheer plastic jackets (another big trend in Paris this year), the style was complete. To replicate this at home, you might want to stick to the aforementioned common facial areas for applying your holographic makeup. Almost any look can be made even sexier with a precisely drawn-on cat eye. Well, if you’ve mastered the current cat eye, prepare for a new challenge. A variety of fashion houses, including Dior, Ronald van der Kemp, and Givenchy redid this beloved makeup technique. Dior introduced echo lashes with feathery cat eye details while van der Kemp’s models had multicolored eye makeup. Givenchy used strong pigment with a light hand for their cat eye. You have plenty of options! Glitter makeup may have died with the 1990s, but it appears that it’s back in full swing now. The best part about this trend is there’s no wrong way to do it. 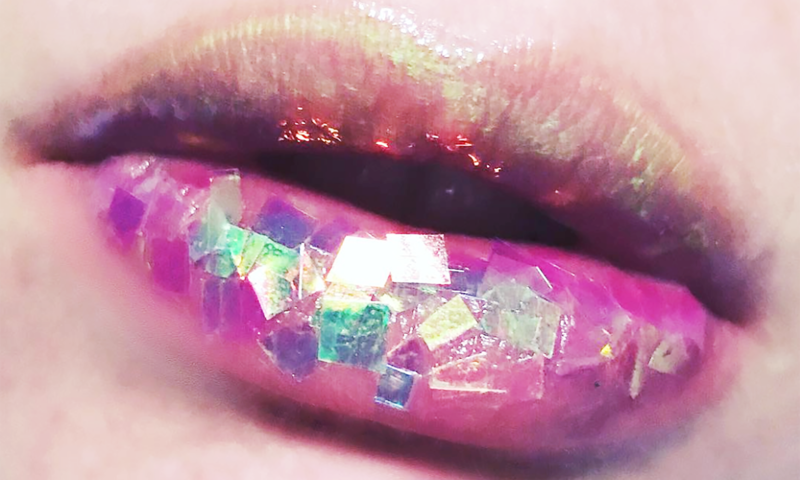 Do you want to decorate your eyelids with glitter? Do you want your cheeks to shine? Do you want to coat your décolletage in a light layer of glitter? It all works. Of course, with all the crazy eye makeup seen at Paris Haute Couture Fashion Week (and highly-pigmented eye shadow was another emerging trend in addition to the abovementioned cat eye changes), for the eyes to really stand out, the rest of the models’ makeup had to be purposely understated. Indeed, from Schiaparelli to Giambattisa Valli and plenty of big names in between, models looked like they weren’t wearing any makeup at all (with the exception of their eyes). Even their lips were a natural shade and may have been left bare. If you’re uncomfortable going without makeup, try barely-there foundation and a natural lip tint.